“Renor took our goals seriously, studying our concept and brand closely. During the design phase, special attention was paid to the fluency of work and factors affecting the indoor climate. 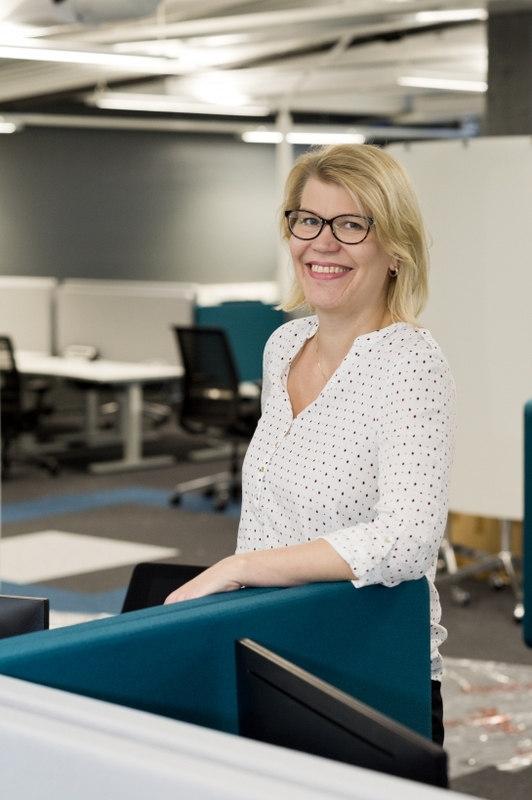 I feel that we succeeded to create a pleasant and healthy workplace together,” says Leena Helenius, FMA, Facility Manager at DNA. The move-in took place in early 2017. The office is DNA’s second-largest, with approximately 250 employees working there. Special attention was paid to the fluency of work and comfort in the design phase. Open-plan offices, meeting rooms and a tempting breakroom decorated for comfort were built in a 2,250-square-metre space on a single floor. In addition, smaller rooms were built in the premises for carrying out work requiring peace and quiet. The overall plan must support the operations of the organisation, which became the number one priority in the design work.